WELS Investment Funds  is a self-supporting subsidiary of WELS. Its mission is to provide cost-effective, professionally managed investment portfolios exclusively for WELS-affiliated ministries. By pooling investment resources through WELS Investment Funds, congregations can take advantage of lower cost, institutional priced investment alternatives that would not otherwise be available. WELS Investment Funds currently manages more than $200 million in assets, which includes $48 million for 180 congregations and 20 WELS-affiliated ministries. Visit wels.net/welsfunds for more information. https://wels.net/wp-content/uploads/2016/04/711x400-Together-WIF.jpg 400 711 Briana Lambrecht https://wels.net/wp-content/uploads/2013/04/WELS-logo3.png Briana Lambrecht2019-01-04 09:26:262019-01-04 12:32:18WELS Investment Funds, Inc.
17 music offerings for organ, piano, and choir. In September, NPH closed its store location and now offers its merchandise solely online at nph.net and through its displays at select conferences and events. NPH’s website saw nearly 60,000 visitors in July, August, and September alone, more than 50 percent of whom were new visitors. The staff at NPH continually tests and adjusts the site’s design and organization to provide the most intuitive and pleasant shopping experience for customers. Visit nph.net to learn more. Liz Waldo, a senior at Michigan Lutheran Seminary, is listening to memory work recited by the children of Trinity, Bay City, Mich. Featured photo: In November 2018, senior boys visited Wisconsin Lutheran Seminary and learned more about WELS’ pastoral training program. Luther Preparatory School, Watertown, Wis., and Michigan Lutheran Seminary, Saginaw, Mich., prepare high school students for future service as pastors, teachers, and staff ministers. For the 2018–19 school year, Luther Preparatory School has 419 students and Michigan Lutheran Seminary has 192 students. For more information, visit lps.wels.net or mlsem.org. Creating a present-day mission emphasis—The Commission on Evangelism is developing a comprehensive evangelism curriculum that congregations can use to offer annual evangelism training and encouragement. Better capitalizing on WELS’ historic strengths—WELS’ school system, its compassion ministries, and gospel-centered worship are known strengths of our church body, so Congregational Services is working to strengthen these areas and promote them in our communities and to our congregations. Focusing on closing the “back door”—The Commissions on Adult Discipleship and Youth and Family Ministry in particular want to help churches address delinquency quickly, revitalize youth ministry, produce resources for Millennial outreach and retention, and create stronger inter-congregation connectivity. Striving to strengthen the family—Congregational Services is working to produce resources that help train families how to grow together spiritually. Each area of WELS Congregational Services is working on different aspects of the five-year plan, but many times the groups are working together to develop resources to face these challenges. One major component of Congregational Services’ five-year plan is to develop a clearinghouse for all these resources so that congregational leaders can easily find the materials that they need. For more information, visit wels.net/congregational-services. Mike Indest (pictured: third from left), a member of Crown of Life, New Orleans, La., recently completed chaplaincy certification through a partnership between the WELS Commission on Special Ministries and Martin Luther College. Indest became interested in the program after counseling he received following Hurricane Katrina. The Chaplain Certification Program is about helping people in special circumstances with special ministry needs. Training is open to all WELS members, both lay members and called workers, with a heart for meeting the spiritual needs of people in circumstances that require particular spiritual care. Specific areas of ministry include those in prison, hospitals, nursing homes, the military and their families, and public servants such as police officers and firemen and women. Chaplain Certification Program courses can be taken online through Martin Luther College. If you’re interested in becoming a chaplain, visit wels.net/chaplains. To enroll in training, visit mlc-wels.edu/continuing-education/wels-chaplain-certificate. The WELS Commission on Adult Discipleship strives to help members grow spiritually. Interactive Faith Bible studies are presented twice each year. These live, online Bible studies can be used by congregations, small groups, or individuals. Members can gather at church or around their own computer to join in fellowship and learn about the Bible with brothers and sisters in faith from around the world. In 2017, the studies focused on enriching marriage and Luther’s lasting impact. To learn more, find out when the next study takes place, or watch archived studies, visit wels.net/interactivefaith. WELS Women’s Ministry offers a rich assortment of free Bible studies at wels.net/women. The third edition of Heirs Together of God’s Gracious Gift of Life, a Bible study that discusses the unique callings and interdependence of man and woman, was released in 2017 and is available through Northwestern Publishing House at nph.net. Did you know? WELS Youth and Family Ministry produces a monthly video newsmagazine for youth. Titled Kids Connection, the video features spiritually uplifting stories about people, places, and programs around WELS. For information, visit wels.net/kidsconnection. The Commission on Congregational Counseling operates a variety of programs that help congregations evaluate their ministry. One is the Self-Assessment and Adjustment Program. For more information, visit wels.net/ccc. The subcommittees of the WELS Hymnal Project continue to make progress on the development of the synod’s next hymnal. The hymnal and accompanying resources could be available for purchase as early as 2021. As part of the hymnal’s development, WELS Hymnal Project subcommittees have been giving congregations an opportunity to use and review samples of the materials developed so far. 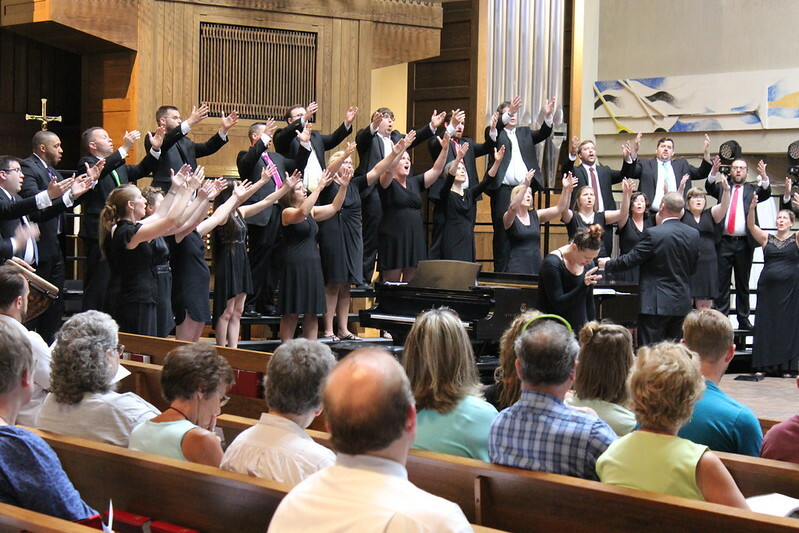 The work of the WELS Hymnal Project is closely coordinated with the Commission on Worship. In July 2017, Forward in Christ magazine began running a series of nine articles that are focused on the use of hymnody. Along with those articles, the WELS Hymnal Project has published online the current list of Christian Worship and Christian Worship: Supplement hymns, indicating which hymns have been selected for inclusion in the next hymnal and which ones have not. All members of the synod may offer feedback on this preliminary list. Visit welshymnal.com. WELS maintains one of the largest private school systems in the United States. The greatest growth in WELS’ school system over the past 20 years has been in early childhood ministries. Many congregations have started early childhood ministries to reach into their communities to share the gospel with nonmember families and create a gateway for new members to join the church. Research has shown, though, that while these ministries are doing a wonderful job sharing God’s Word with their young students, most are not reaching their students’ families. To help congregations create a harvest strategy that might better share God’s Word with these families, the Commissions on Evangelism and Lutheran Schools created Telling the Next Generation: Utilizing our Schools for Outreach. Telling the Next Generation is a daylong workshop (pictured: below, left) that helps congregation and school leaders focus on their joint mission, build relationships within the church and with school families, and develop an organized program to connect school families with the Word. From April 2016 through September 2017, 17 workshops were held in 11 of WELS’ 12 districts. Almost 800 people from 109 congregations participated. For more information, visit wels.net/tellingthenextgeneration. Did you know? The WELS Commission on Evangelism provides a devotion each weekday that can be e-mailed to your inbox. Visit wels.net/subscribe to begin receiving these daily devotions. Serving as a principal in a WELS school has grown in complexity over the years. The 21st-Century Principal Initiative recognizes that fact and encourages a shift in thinking and action from the traditional WELS principal approach. This initiative, coordinated by Lutheran Schools and Martin Luther College, encourages congregations and schools to structure the principal position in a way that respects the complexity and importance of the task and the training it requires. In addition, Lutheran Schools and Martin Luther College are providing training before a teacher is called to be a principal to help prepare a worker for this important role. The first cohort of seven teachers with leadership potential began Leadership Candidate Training in 2017. Jackson (pictured), a new Lutheran living in Venezuela, can’t keep the peace he found in the gospel to himself. “You fill them up with the gospel and this hope and peace and comfort, and it starts to spill out,” says Missionary Mike Hartman, field coordinator for Latin America. What’s amazing is that less than a year ago, Jackson didn’t have that peace. Living in a country that economically and socially is falling apart—and where there aren’t any churches that faithfully share God’s true Word—Jackson was looking for hope. He saw a Facebook post from Academia Cristo that shared the gospel message and invited him to join a Whatsapp (texting) group that discusses a daily devotion. As he learned more, Jackson began peppering group leader Henry Herrera, pastor at Most Holy Trinity, Medillín, Colombia, with questions. Herrera invited Jackson to take an online class that he was leading through Academia Cristo. Jackson joined all Herrera’s classes, went through Bible information class, worshiped online with Most Holy Trinity, and within months was confirmed. But that wasn’t enough for Jackson. He began inviting people into his home in Venezuela and teaching them what he had learned. He also started offering weekly worship, using the WELS website Iglesia Luterana Cristo for worship resources. Jackson is just one example of the people Academia Cristo is reaching. Since its launch three years ago, Academia Cristo has reached Spanish-speaking people in every Spanish-speaking country with the life-saving message of Jesus. And some of those people, people like Jackson, are sharing that message with others. Did you know? Academia Cristo (Christ Academy) is a joint effort between World Missions’ One Latin America Team and Multi-Language Publications that offers Christ-centered resources for Spanish speakers around the world. This is just a snippet of the letter written to WELS from the Hmong Fellowship Church in Vietnam, after members of the Global Hmong Committee and the Pastoral Studies Institute conducted pastoral training in Hanoi. Pastor Bounkeo Lor (pictured teaching), coordinator of the Hmong Asia Ministry, and members of the Pastoral Studies Institute Team have been consistently visiting Vietnam to conduct training since 2015. In just three years, the Hmong Fellowship Church has grown from 65,000 to 100,000 members and formed 53 new churches. The Hmong pastors in Vietnam are yearning for the gospel and eager to grow in a faith that centers around the free grace received from Jesus Christ. Learn more about Hmong Ministry.